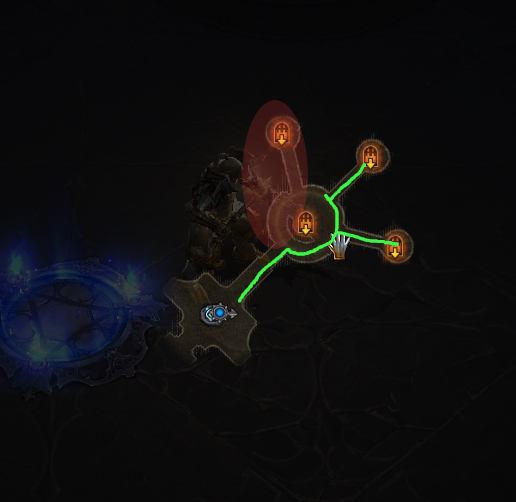 I've seen many Act 2 farm routes starting in Vault of Assassin for its excellent rare pack density, and their farming routes avoid picking up other checkpoints thus losing the Vault as a starting point. Another excellent area is in the Terminus with the dungeons surrounding ZK, but there is unfortunately a checkpoint there, making it off-limits. However, I have found that by sticking to the right wall you can clear 2/3 of those dungeons without picking up the checkpoint, The Storm Halls and Realm of Shadow specifically. Adding those several extra densely packed rare mobs has greatly increased my efficiency.